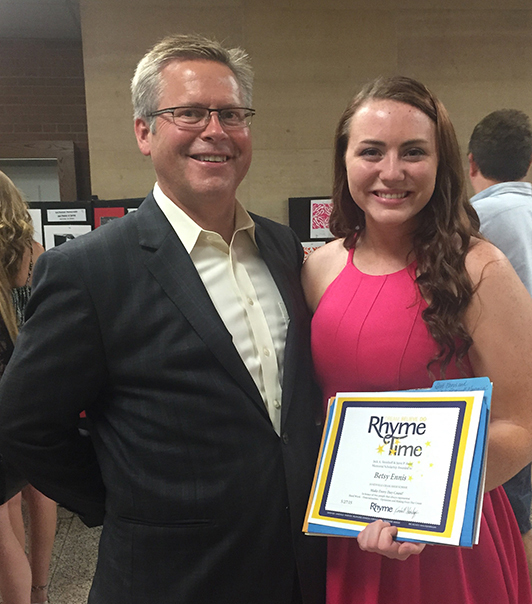 Rhyme Time was able to award $7,000 of scholarship funds out to 6 students from 5 different local high schools this year. The recipients included: Haylie Olson - Monroe High School, Alec and Connor Osmond - Janesville Parker High School, Zach Cresswell - Evansville High School, Betsy Ennis - Janesville Craig High School and Jared LaBelle - Portage High School. These 6 students were hand selected based on their applications and letter of how cancer has affected their lives in some way. Each individual submitted inspiring, real stories and we appreciate their honesty in the application process. 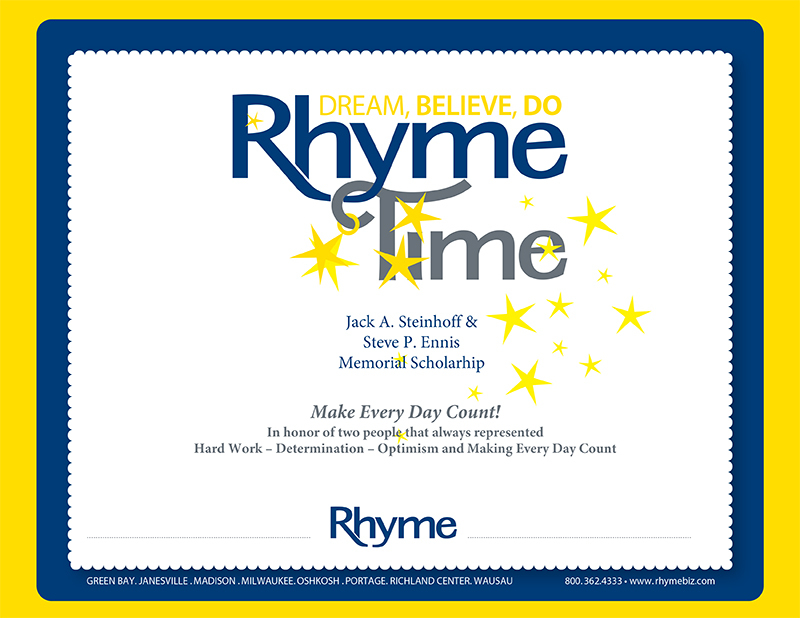 We want to congratulate the Rhyme Time Scholarship Class of 2015 and wish them the best of luck in their future endeavors! Without the tremendous support we receive at our annual fundraiser, the Steve Ennis Memorial Golf Classic, we wouldn’t be able to continue growing the Rhyme Time foundation, so thank you everyone for your support over the years! Please save the date for our 7th Annual Fundraising Event on Saturday September 12, 2015!